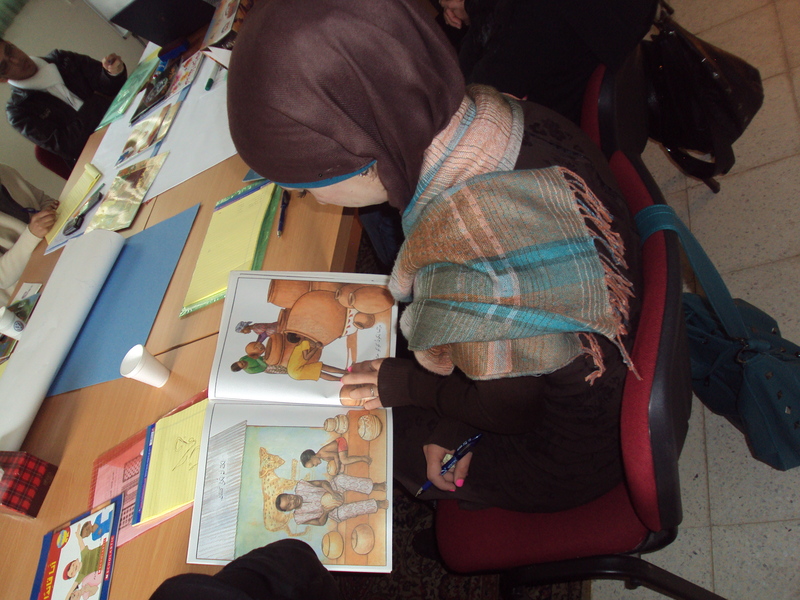 Last week we took one of the advanced photography classes to the village of Beit Ferik, a few kilometres from the city of Nablus. In groups of twos and threes they shared the DSLR cameras and put into practice what they had recently been learning about nature photography. Students were given a checklist to inspire them to capture the beauty of nature and get them thinking about composition, colour, light and shadow. In Palestine, the olive tree is prized for its historical presence, its beauty, its symbolism and most importantly economic significance. The trees are important as they have long been a key part of the country’s agricultural output: olives, oil and wood. Nablus itself is famous for soap made from olive oil, and it is still made in the couple of the factories left in the city today. The Circus!, originally uploaded by tyo_nablus. 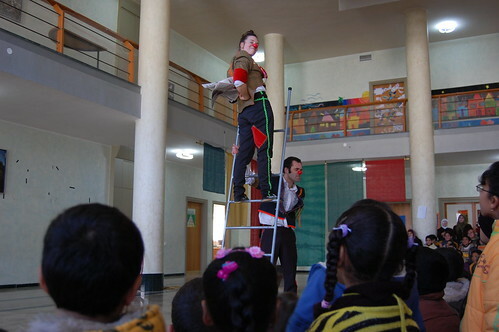 On Wednesday, 27 January 2010, Clowns without Borders Ireland, a circus group, dazzled and entertained 100 children from Nablus at the TYO Center. This is the second time these lovely clowns have visited TYO and we were thrilled to have them again! To see more photos from the performance, please visit our flickr page. 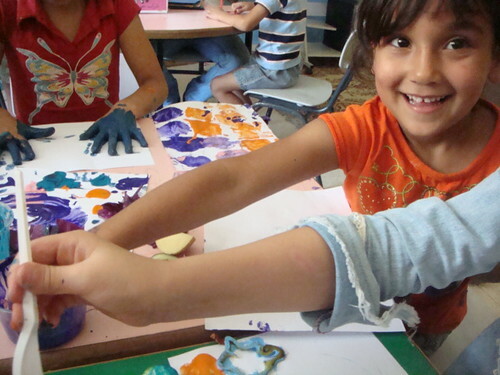 Yesterday, TYO celebrated United Nations’ International Children’s Day. About 200 community members, including children and parents, came to TYO’s Open Day to enjoy an exciting array of activities, including art and sports activities, face painting and debka. A special thanks to all the TYO volunteers who did an incredible job orchestrating the day and leading activities. Art!, originally uploaded by tyo_nablus. We just posted several hundred photos on our flickr account from the summer session. Ever wonder what our classrooms are like? Ponder how does TYO incorporate recycled and found materials? Check out our photostream to see photos of our imagination stations, including a doctor’s office, a bank and a market. The photos are sure to put a smile on your face and make you want to jump in and play too.